Security is definitely one the most important things to consider at home. With plenty of security devices, door locks and deadbolts are most common devices which help secure our homes. With smart technology, door locking systems are also getting smarter. Other than security, smart door locks also provide convenience and control at the touch of our hand. 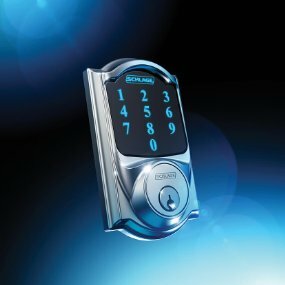 Here, we’ll talk about the Schlage Connect Touchscreen Deadbolt in this review. 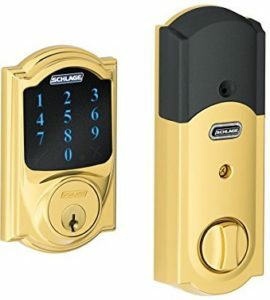 In this Schlage Connect Touchscreen Deadbolt review, we’ll provide helpful information, features, advantages and cons of this smart device. Also, we’ll provide a balance overview and review of this smart deadbolt. Also, we’ll present a curated list of inputs and reviews from customers across multiple channels. With these, we hope this gives useful insights to see if this smart deadbolt fits the doors of your home. Schlage Touchscreen Deadbolt is a smart deadbolt which aims to provide home security, convenience and control. Wikipedia explains more what is a deadbolt and how it works. Packed with smart features, it will help you monitor who’s getting into your home. Moreover, it gives you convenience with its touchscreen feature for a keyless access to your home. Yes, you’ll never have to worry anymore of leaving your door keys at home. This device comes with in with 2 styles, Century and Camelot. Also, each styles has different colors and finishes which caters to user preferences. The benefits you can get with Schlage Connect deadbolts are security, convenience, management, tracking and alarms. Above all, security should be the top and main reason why deadbolts are created. Thus, this should be the first to be taken into account. Fortunately, this device is built to boost security at home. With a smart hub, you can manage and track who goes in and out of home. Through sensors, it notifies you of activities, tampering and forced entries at your doors. For more info, the installation instructions and manual are here. Schlage Connect Touchscreen Deadbolt is a good choice for a smart deadbolt for homes. It is certified with Residential Security and Z-Wave. This also supports other communication protocols for a smart home network. It boosts great security features like alarm, anti tampering, activity sensors. And, this provides convenient features within your control. Indeed, this smart deadlock is a good one to consider. However, take note of the smart home network setup. Know that, all of your smart devices must be communicate with its other. This deadbolt needs to connect to supported smart hub. Usually, a Z-Wave certified smart hub would be fine. Other than that, this deadbolt can be a good smart door lock for your home. In summary, the Schlage Connect Touchscreen Deadbolt will definitely improve home security. Not just that, you can monitor who is in and out of home. Also, it brings convenience with its smart features. Lastly, it’s certified with ANSI Grade 1 which ensures device is tested for residential security. 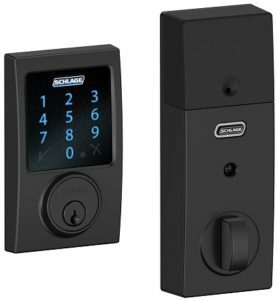 We hope this Schlage Touchscreen Deadbolt review gives you useful information for your smart deadlock research.